Systemic lupus erythematosus (SLE) can damage nearly any organ in the body, and this organ damage often begins even before patients are diagnosed. Therefore, the OMRF Autoimmunity Prevention Center focuses on understanding the processes that precede and lead up to lupus. 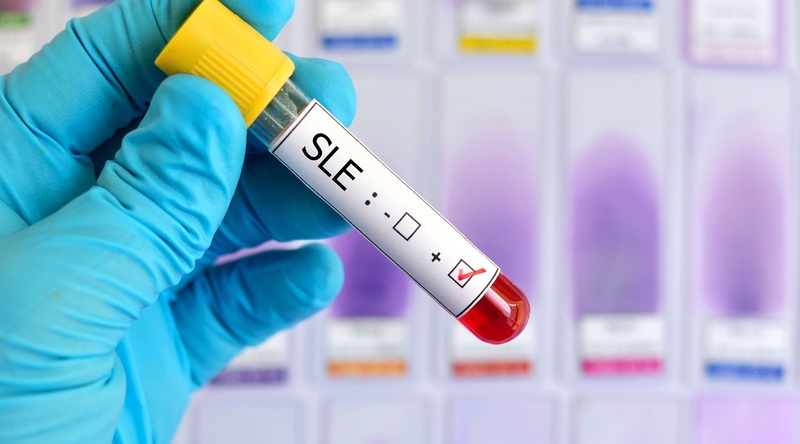 This research is important for identifying patients at high risk of SLE and developing therapeutics that safely interrupt the disease process to prevent organ damage. Research in this area has been hindered by the challenge of identifying and collecting samples from patients who will go on to develop SLE. To overcome this obstacle, we have assembled five cohorts that span the spectrum of preclinical autoimmunity from genetic risk to SLE classification (Figure 1). The OMRF Autoimmunity Prevention Center is using these resources to delineate the progression of immune dysregulation leading up to SLE classification, explore mechanisms of disease transition that could be targeted by preventive interventions, and validate algorithms for identifying individuals at high risk of SLE. Fig. 1. Unique cohorts span multiple stages of preclinical SLE (gray bars) to enable studies to understand pathogenic mechanisms, identify markers for SLE risk, and develop prevention strategies. We actively collaborate with other Autoimmunity Prevention Centers across the nation. These collaborations have led to the first ever lupus prevention trial, called Starting anti-Malarials in ILE (SMILE: NCT02603146), as well as the first RA prevention trial in the US (StopRA: NCT02603146). The OMRF Autoimmunity Prevention Center was established in 2012 with funding through the NIAID Cooperative Study Group for Autoimmune Disease Prevention (U01AI101934). This group is a collaborative network of investigators focused on preventing autoimmune diseases before clinical onset.